While Microsoft will certainly get off on the wrong foot here in terms of customer expectations, they are still technically accurate—at least in the old desktop world. When you buy a Windows/Mac machine with a 100GB HDD, you expect some of that (but certainly not half of it!) to be used by system software. However, with the paired-down iOS/Android OSes currently so optimized, you pretty much get what it says on the box. 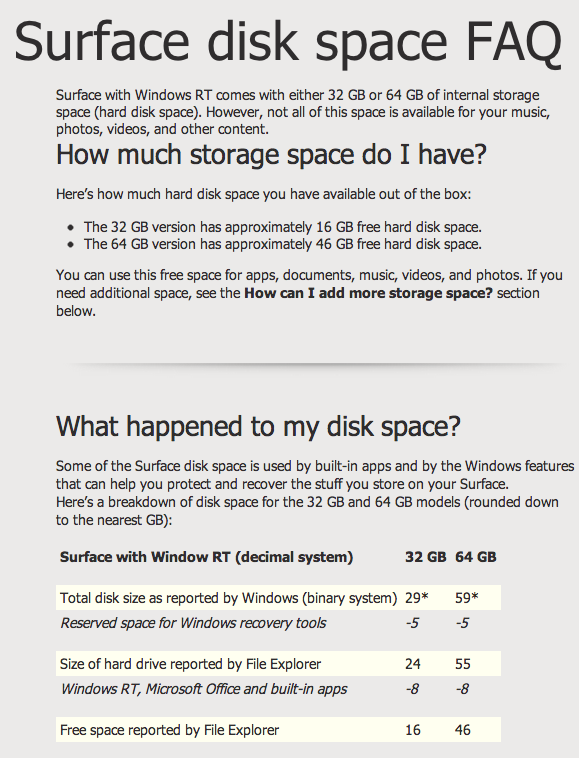 We reported on a Microsoft Engineer last month, saying users would have more than 20 GB of space. This is part of Microsoft’s no compromises approach. You get a bunch of legacy stuff that requires a lot of legacy space.